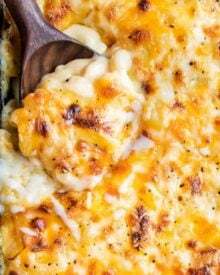 If you’re looking for an easy and hearty meal that comes together in ONE pot, in just 30 minutes (aka helllllooooo busy weeknight! 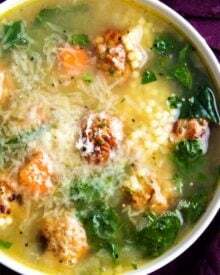 ), look no further than this classic Italian wedding soup! You can make homemade meatballs or take a little help from the store and use frozen meatballs – either way tastes great! 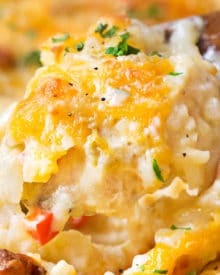 Searching for other quick weeknight meals? You’ll love my award-winning sloppy joe recipe, one pot chicken parmesan pasta, or tomato basil soup with pesto (ready in just 15 minutes!). Even this time of year, soup is a go-to meal for us. On a chilly night, there’s nothing better than wrapping both hands around a warm, steaming bowl of soup! 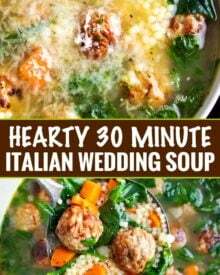 Normally we go for a hearty minestrone or loaded potato soup, but lately I’ve been getting requests for a classic Italian Wedding soup, mainly from my husband. 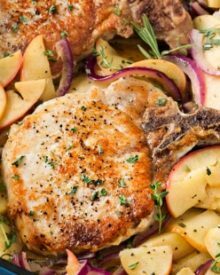 Add some crusty no-knead bread (seriously so easy and fun to make), and a nice caesar salad and you’ve got a well-rounded meal that’s ready in no time! My local grocery store had the acini di pepe pasta right in the dried pasta aisle, or you can also find it online. 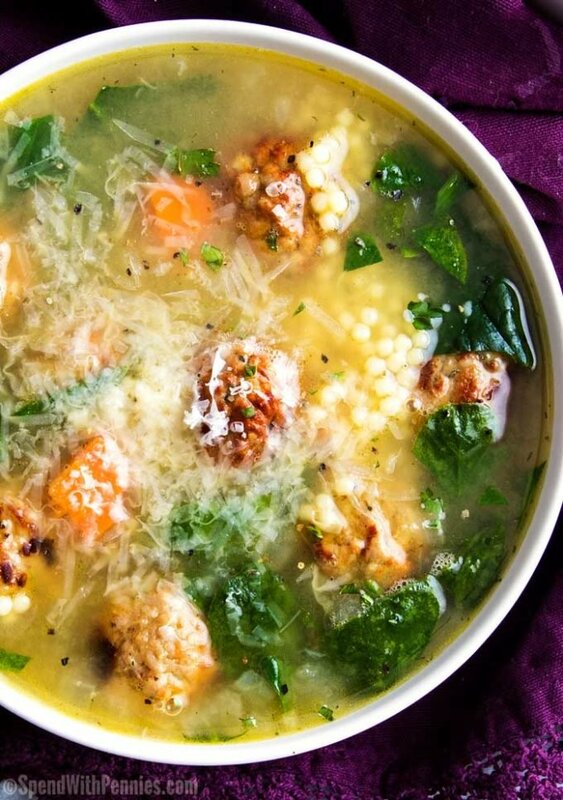 Italian wedding soup really is such an easy soup to make. The part that takes the most time is making the meatballs. You can use any combination of ground meat you like. My favorite combination is either pork and beef or all chicken. I like to brown the meatballs in the soup pot before cooking the soup; add tons of extra flavor! Cook onions, carrots, and celery until soft. Add herbs and seasonings. Even though this recipe is quick-cooking, sometimes we need a little extra time. Here are my top tips for prepping this soup ahead. Pre-make the meatballs. Assemble them and line them on a wax-paper lined airtight container and refrigerate a day ahead of time. Make a double batch of meatballs. 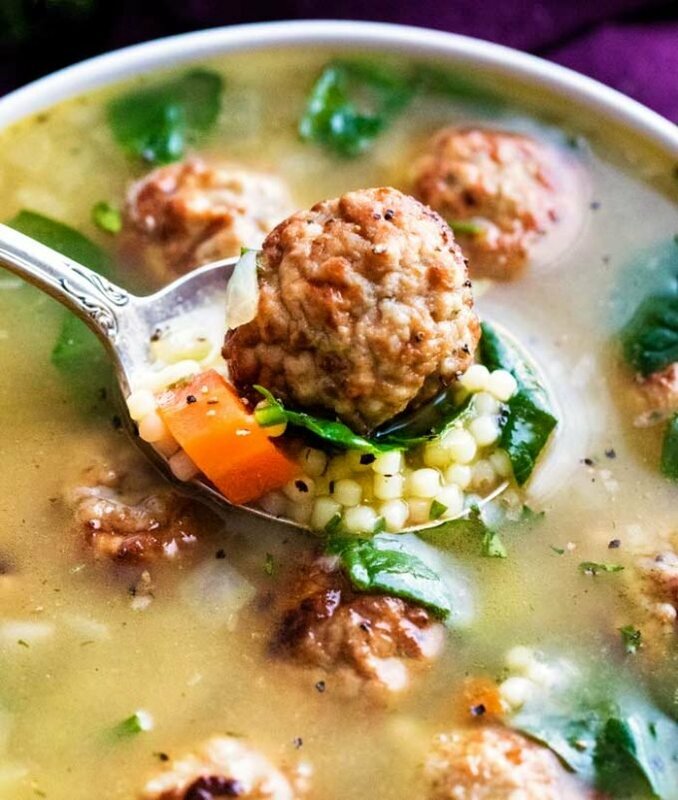 I know that doesn’t seem like a time-saver, BUT, you can freeze the other half, and then the next time you’re ready to make this soup recipe, you’ve already got the meatballs handled! Chop the vegetables ahead of time. Keep them in zip-top baggies in the refrigerator a day ahead of time. Chop the spinach. Keep it in a zip-top baggie in the refrigerator with a dry paper towel to absorb any moisture. Use frozen meatballs! I love the flavor of homemade, but some days I just can’t with the extra work. Frozen meatballs work beautifully in this soup, just make sure you use the small variety. There’s nothing better than coming home and realizing dinner is practically done already! Freezing soup is usually pretty straightforward, but for the best results, I like to freeze the soup before adding the pasta. Then when you’re reheating the soup, go ahead and add the pasta. Use quality ingredients. 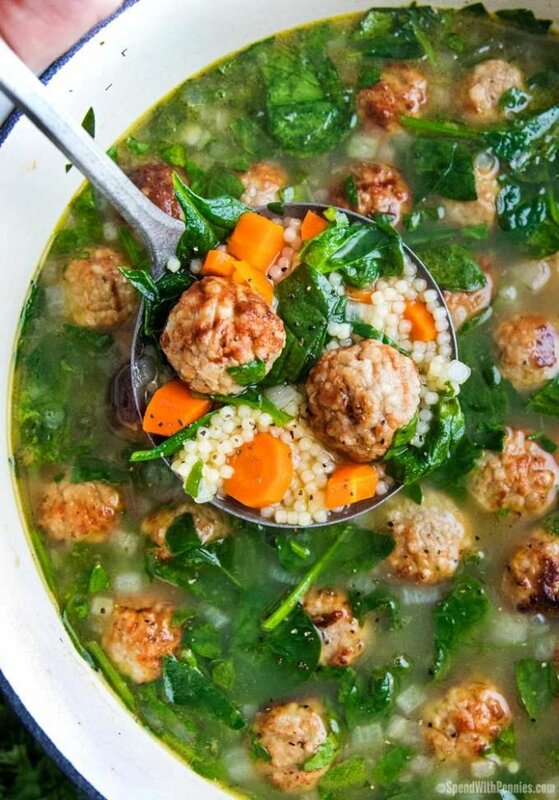 Since this soup has relatively few ingredients (meatballs aside), you want them all to shine! Don’t worry if the meatballs aren’t cooked through after browning them. They’ll finish cooking when you add them back to the soup later. Wine is recommended, but if you really prefer not to use alcohol, you can omit it. Don’t forget the sprinkle of freshly grated Parmesan or Romano cheese before serving, it really takes this soup over the top! Acini di pepe – definitely cheaper in the grocery store, but in case you can’t find it, this is a good alternative. 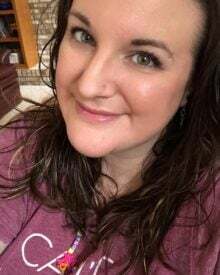 Scroll down to read other readers’ comments! 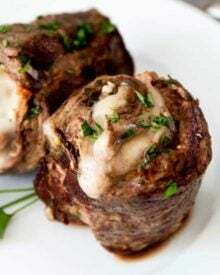 Don’t forget, if you’ve made this recipe, leave a comment and be sure to rate it! 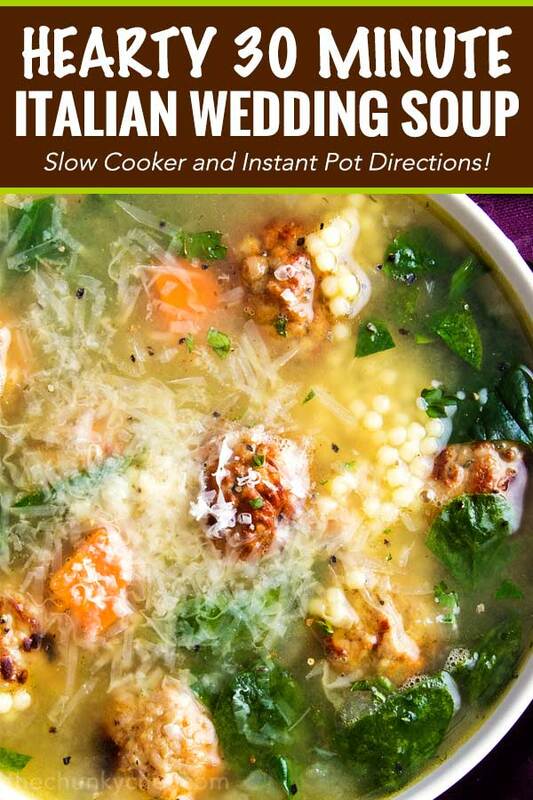 Italian Wedding soup is a hearty, classic soup made quickly on the stovetop! Add remaining 1 Tablespoon olive oil to the same dutch oven and reduce heat to medium low. Add the onion, carrots and celery and cook 5 minutes, until softened. Add garlic and cook 30 seconds, or until fragrant. Season with salt, pepper, and dill. Assemble meatballs, then brown as directed in step 2. Add to slow cooker insert. Pour in wine, scraping the bottom of the pan with a wooden spoon. Pour wine mixture into slow cooker insert, then add all remaining ingredients (except spinach, pasta and Parmesan cheese). Add spinach and pasta, cover, increase heat to HIGH and continue cooking another 10 minutes, or until spinach has wilted and pasta is tender. Assemble meatballs, then press the saute button. Brown meatballs as directed in step 2. Add the onion, carrots and celery and cook 3-4 minutes, until softened. Add garlic and cook 30 seconds, or until fragrant. Deglaze with white wine and stir to remove any brown bits. Press Cancel button. Stir in seasonings, add in broth, pasta and meatballs. Secure the lid and pressure cook on high pressure for 6 minutes. 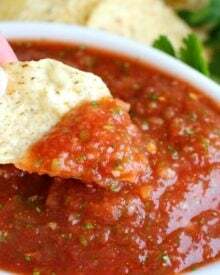 Do a quick release, releasing the pressure in short bursts to avoid food particles from spewing out with the steam. Remove the lid and stir in spinach. In 'Saute' mode, cook for another 2 minutes, or until heated through and spinach has wilted. I do love a good soup to warm up with on a chilly day! This look beyond delicious! 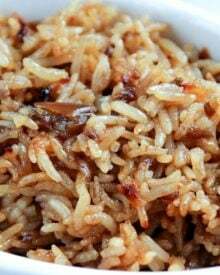 Love this specially when we need something quick and easy meal, need to make this soon! This soup looks so good! My family will love it! This soup looks so inviting! 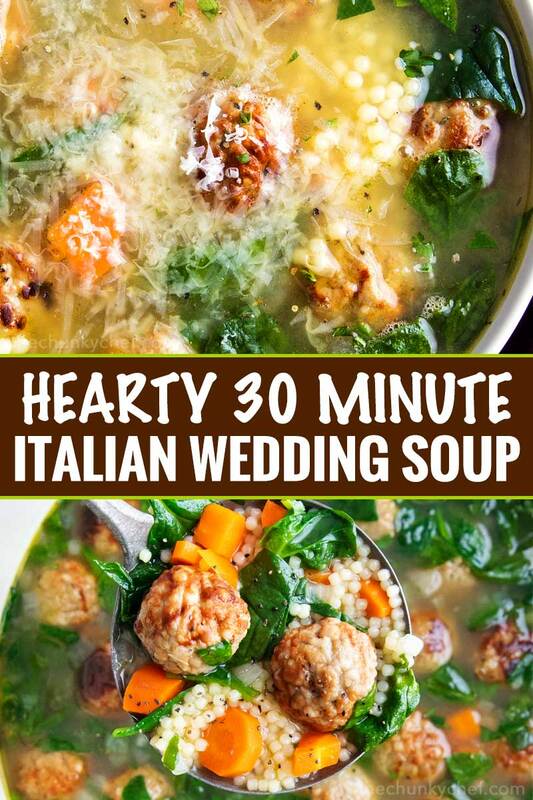 I’ve tried once italian wedding soup and I loved it! Oh YUM!! My favorite soup! It so hearty and incredibly delicious!! Wow! Great recipe for a cold night, indeed! Looks better than any restaurant version I’ve seen too; yum! 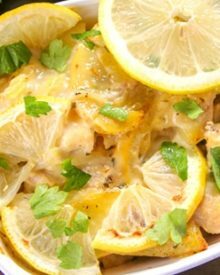 I recently made this for my family but with some slightly different variations; I like your recipe-looks delicious!